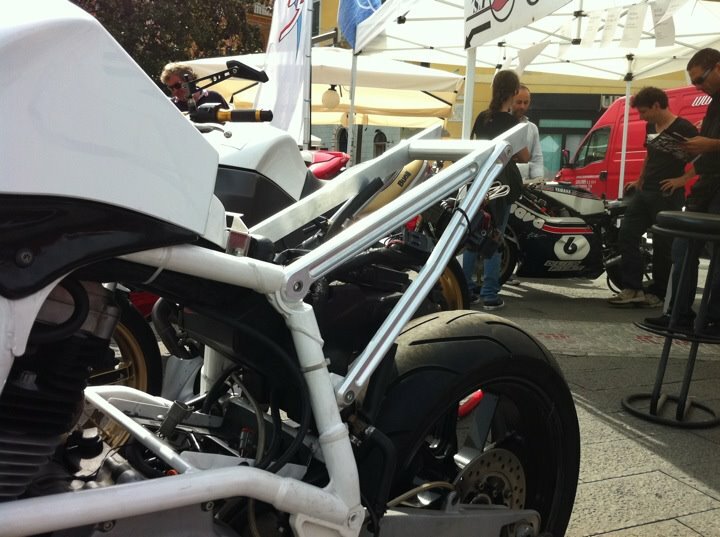 18-4-2012 - In this article we will show you the development of our new Buell X1 rear tail. We are developing a new rear set with our Italian Friends from Style and Performance. This will be a bolt on kit to replace the stock X1 seat, with all hardware included to fit at home. Today we received the last prototype for teh Buell X1 Short tail from our Partner Style and Performance. We will fit it next week and when all is oke we give it a go for Production and hold it in stock. It is a complete replacement kit with tail light and license plate bracket. We let you know and more pictures after the fitment next week. Price is set this weeh look HERE. Twin Motorcycles started a new company in France.